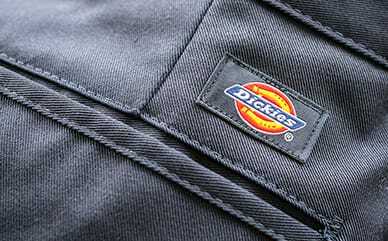 Speed through the day like racers on the track with Dickies Checkered Flag Zip Front Jacket. This hoodie is made from a cotton blend that keeps it durable, while the fleece material keeps it soft and comfortable. Made with a checkered hood lining, a racing patch on the chest and a 500-speedway patch on the back.